Gallup is a city in McKinley County, New Mexico, United States, with a population of 21,678 as of the 2010 census. 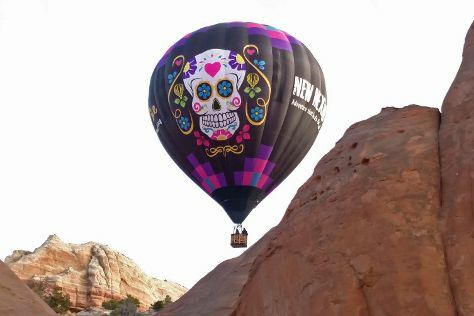 Start off your visit on the 5th (Sun): delve into the distant past at Monument Valley Navajo Tribal Park and then enjoy unforgettable views with X-Treme-Lee Fun Balloon Adventures. Get ready for a full day of sightseeing on the next day: stroll through Red Rock Park, then stop by Perry Null Trading Company, then pick up a one of a kind souvenir at Bill Malone Trading Company, and finally stop by Richardsons Trading Company. For traveler tips, other places to visit, maps, and other tourist information, go to the Gallup travel tool . In August, daytime highs in Gallup are 84°F, while nighttime lows are 53°F. Finish up your sightseeing early on the 6th (Mon) so you can travel back home.